Lanyards have been popular for decades. We just never stop needing them in business and day to day use. In case you don’t know what a lanyard is from the image above: A lanyard is a length of material that is sewn in a loop and then fitted with a hook or a clip on the end, this is worn around the neck like a necklace with your ID badge or keys hanging from the end fitting. Lanyards are made from various materials however polyester is the big favorite among companies looking for something comfortable and affordable at the same time. Many business owners choose to personalize or customize these with a logo, company name, contact details and other information that could be scooped up by potential customers. 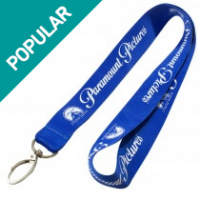 How are lanyards a promotional item? When people are walking around carrying keys or electronic devices on a lanyard they are wearing something that has a flat printable area, right on their chest in full view of other people. I don’t know about you but we think this makes prime advertising space. Deck your staff out with uniforms and top it off with a lanyard that has your details emblazoned across the material length and presto, you have a targeted advertising item that is literally walking around at perfect viewing height. What are the true “Awesome uses” ? Conference identification: Your conference or event is probably not free entry. In which case you will want to be able to identify people who are meant to be there, or perhaps you have a panel of VIPs or delegates or maybe you have restricted access areas. It is important to be able to quickly identify people with access to these areas, without security staff pestering them for credentials or information. You can use simple unprinted lanyards in different colors to identify people of varying security access. 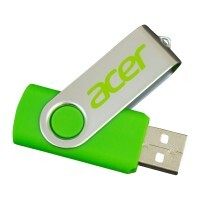 Or a color coded ID card hanging from the clip. Advertising beacon: As we mention above, print your logo, branding or contact details onto the lanyard length and get your staff or conference visitors wearing your logo! This creates awareness and people usually keep lanyards for use at home or around the office after your event. Staff will wear them out on lunch break or use them while not at work too! We were attending an automotive event last year, and spotted a company selling lanyards with their brand printed along the length of the lanyard for $10. Now that is a great way to raise money for a charity or non profit organization. 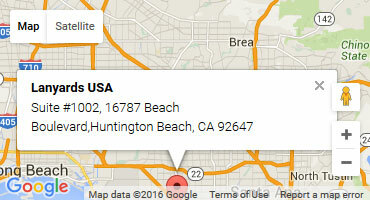 Secure locations and complexes: Entry to secure premises requires an ID card or swipe key. Sometimes even an RFID chip or card, this can be hung from a lanyard and worn around the neck by your staff to allow them easier use of their ID cards and prevent them losing their ID which in some cases can be a real disaster. Not to mention that RFID chips can cost a fortune and if lost, you don’t want to be replacing a $100+ worth of RFID chips. Hospital staff: Pens are in non stop, flat out demand in hospitals. Did you know you can actually make a strap with a special fitting designed just to carry your pen around your neck. The strap also features a safety fitting to prevent strangulation in case someone grabs the lanyard or it gets caught on machinery or equipment. These are excellent in medical facilities and around government institutions because of their safety rating and ability to free up the hands of nurses and medical personnel in certain situations. Parties & social events: Cruising for example requires people to carry a lanyard with their cruise card. We have also seen some really awesome parties where lanyards were thrown out to party goers, including a huge beach party where people wore specific lanyard colors to display marital status and also a small gathering where people were given a number hung from a lanyard to enter a competition during the event! Again, as mentioned earlier people hold onto these kinds of items for keepsake and this create a strong brand awareness for your company. Want to order some lanyards? Your in the right place, LanyardsUSA.com specialize in a vast range of lanyards the majority of which are made to accept your logo, slogan or message. All lanyards are completely custom made to suit your requirements from fittings to material thickness we can customize all of it! Bonus tip: How to get the right lanyard for your needs? Talk to a lanyard company and tell them about your event, conference, promotional campaign or just your business. 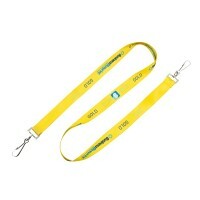 They will tailor a lanyard to suit your needs, and remember to check if the lanyard is position or repeat printed. Repeat print lanyards are cheap and don’t do your brand justice, you will often find companies that supply position printed lanyards for no additional cost. Don’t forget to supply your logo and messages required on the material to get your company the maximum exposure possible!